Dental lifting is a global trend in cosmetic dentistry that allows your face to be rejuvenated without resorting to plastic surgery. This discipline requires vast knowledge and experience on the part of the doctor and cooperation on the part of the patient. By rebuilding teeth and bone structures, we create support for soft tissues: muscles, the skin of the cheeks and lips. It enables us to model the face, regardless of the patient’s age. 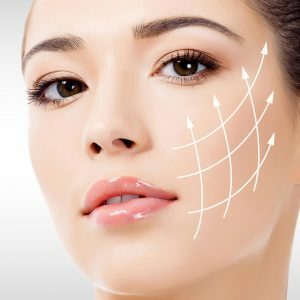 In many cases, it is an alternative to plastic surgery. For an excellent final effect, cooperation between several disciplines is necessary: implantology, prosthetics, orthodontics and conservative dentistry. As mentioned before, cooperation between the doctor and the patient is a must too. At our clinic, we successfully meet these conditions, achieving excellent effects of treatment, satisfying for our patients.